Today on the show, Nicole gives us a post-mortem on 2017 Emerald City Comic Con, and how – among all of the Chewbaccas, and Harley Quinns, and Astro Mechs – the big hit was the real live cosplaying cat at the Comics Dungeon booth. Other topics include an addendum to our Alien discussion from last week, and how Neill Blomkamp’s Alien movie is not quite dead yet; none of us have seen Logan; “Make Mine Marvel” is going to incorporate legacy numbers; the Teenage Mutant Ninja Turtles are being relaunched as a 2D cartoon; and finally, Shelly Bond has been hired by IDW to lead a new creator-owned imprint. And finally, we give you a head up about the upcoming The Panel Jumper **Live! ** Stay tuned for more details as the date approaches. 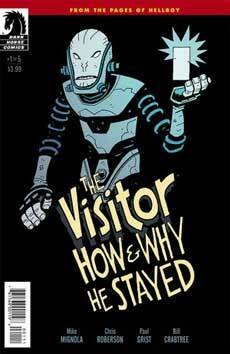 For Book Report, Cole talks about The Visitor: How and Why He Stayed by one of his favorites: Mike Mignola. 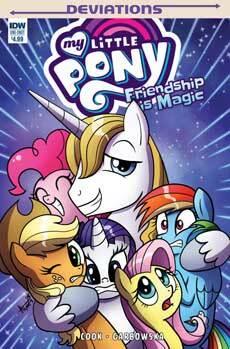 Nicole reviews an IDW Deviation of My Little Pony: Friendship is Magic by Katie Cook. 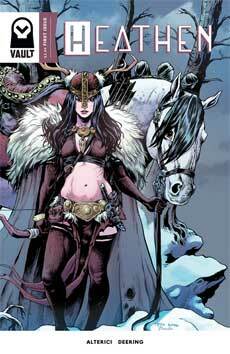 And finally, Chris reviews Natasha Alterici’s Heathen from Vault.